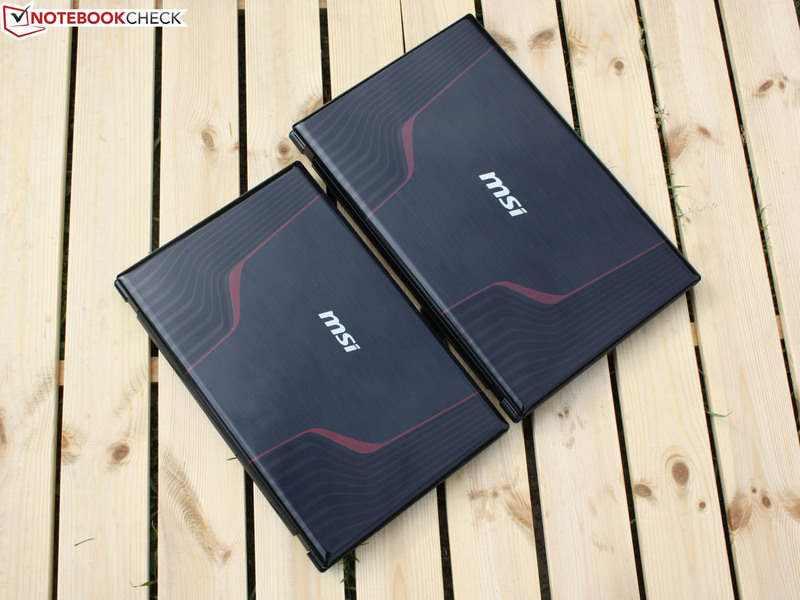 After having reviewed the GT60 a few days ago, we have finally gotten our hands on the MSI GE70. The manufacturer had included potent hardware like the latest Ivy Bridge quad-cores and the high performance GeForce GTX 670M in its top tier GT range. The GT60 is capable of handling the latest games in native Full HD. Our GE70 features a "weaker" GeForce GT 650M and a 1920x1080 display. How much gaming laptop is available for just under EUR 900 (~$1180)? Why does it feature two turbo buttons? These are some questions we will try to answer in this comprehensive review. In contrast to the GT model, the GE series presents itself to be more restrained, slimmer but not less striking. A completely different chassis is used, which has its drawbacks when it comes to stability. The case warps with small amounts of pressure very easily. The construction is weak enough that you find the case bending when the laptop is lifted with one hand from the side of the optical drive. The wrist-rest is smooth, fingerprint prone but rigid and the lid is mounted on two tight hinges. The lid's torsional stiffness is poor, but is sufficient for home use. 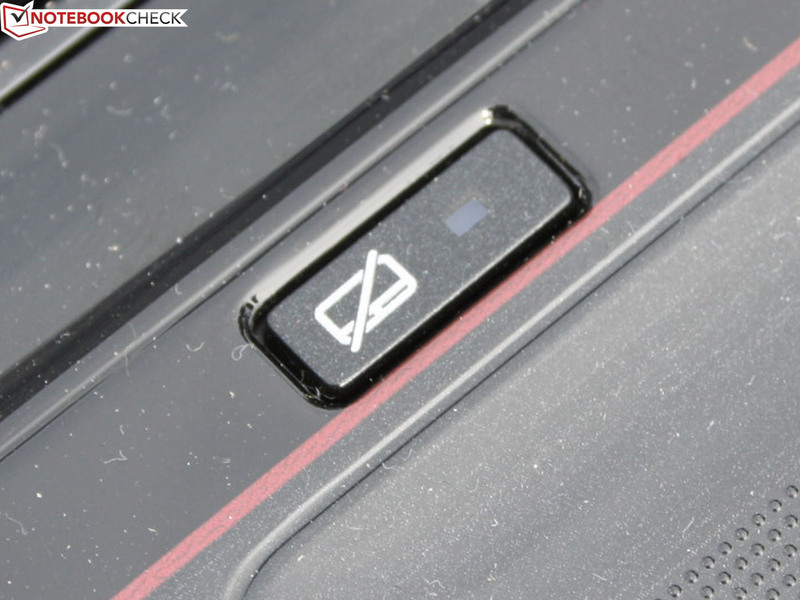 Regrettably, the keyboard clatters is very irritating, especially the Enter-key area, which further affects our impressions on the quality of the laptop. There is a single large cover at the bottom that encloses the upgradeable components. The HDD, two RAM modules and the wifi module can be replaced. There is an option to even replace the CPU and the GPU. We also found an empty mSATA slot labeled "SSD". Incompatibilities are not expected due to the general mSATA interface in the new chipset, so we can assume that every mSATA SSD on the market can be inserted (e.g. OCZ Nocti or Intel 313). The simple design is perfect for cleaning purposes. Lint and dust can be removed using a brush and vacuum/compressed air. 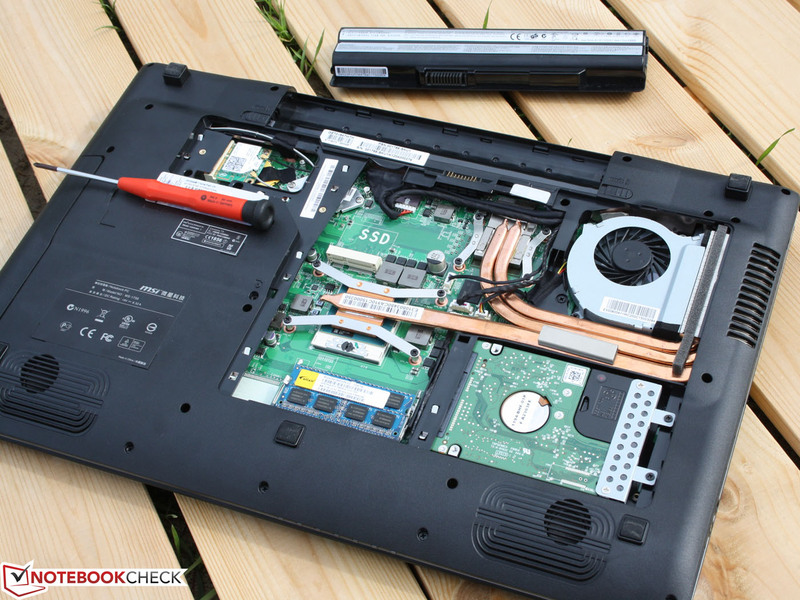 Care should be taken when the hardware is being upgraded to protect your warranty. 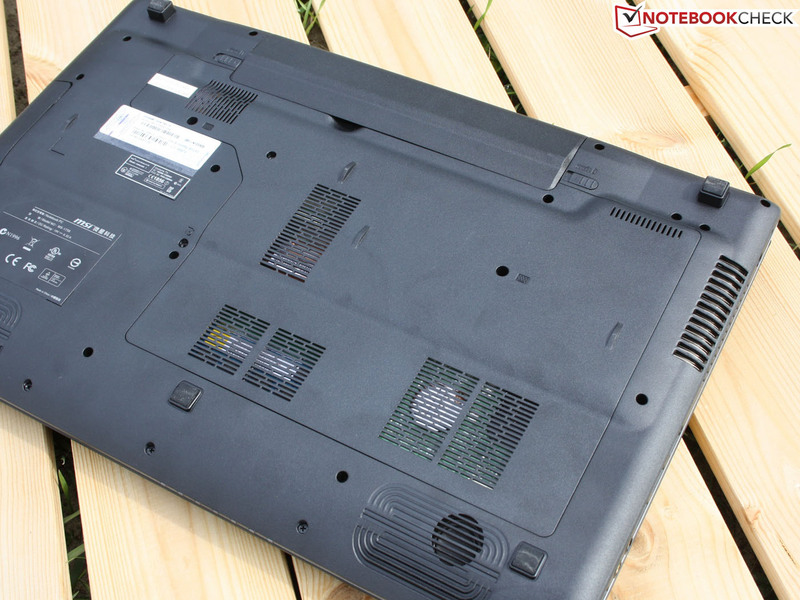 The GE70 provides a selection of ports that can be considered as the norm on modern multimedia notebooks. HDMI and USB 3.0 are standard in this price range. The barebones does not offer eSATA, a fast, conventional hard disk controller that is available on the GT model. Port distribution is good on the laptop. The rear remains free which means cable clutter on the table when connecting the ports on the sides to external devices. The gold-plated headphone and microphone jacks are worth mentioning. These ports cannot break like those with plastic rims. However, It doesn’t feature four plugs for 7.1 surround sound as in the GT model. 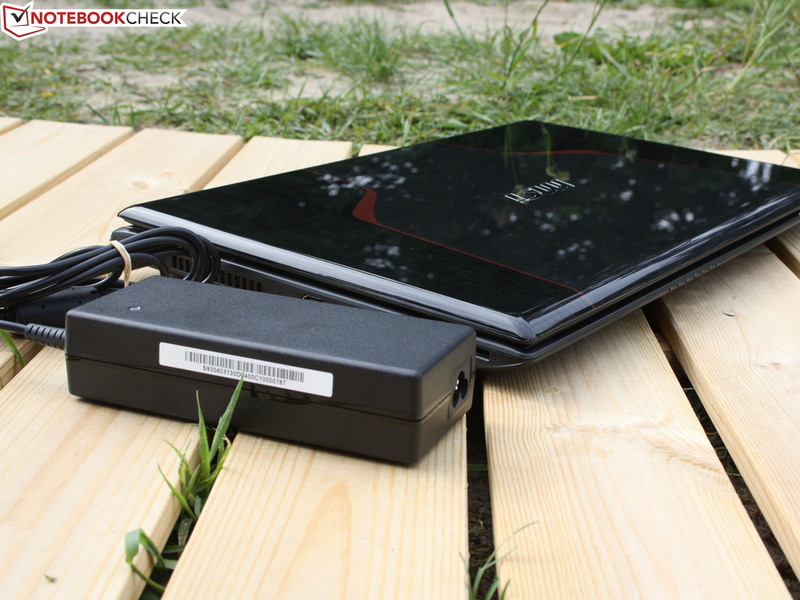 It is very common to find WLAN and Bluetooth (version 4.0) on a notebook in this price range. 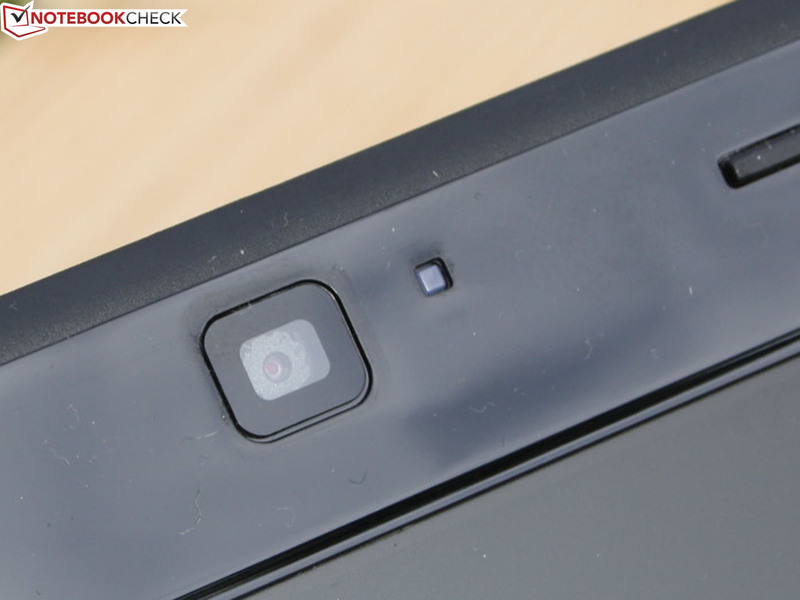 The webcam has a resolution of 1.3 megapixels (1280 x 720) and images have vivid, natural colors. Recording videos is possible at 1280 x 720 (using CyberLink YouCam), but the results are terrible due to extremely high latencies, streaks and jerks. We achieved smooth video recording at 352 x 288 resolution. The webcam activity is indicated by a control LED to its side. The LAN network card is a Realtek RTL8168 found in many other devices. MSI has included full versions of MAGIX's Photo Manager 9, Music Maker 16 and Video Easy SE as well as stripped-down versions of Word and Excel in Microsoft Office Starter. The s-Bar tool replaces the blue function keys and makes these functions available to the mouse. Something nice to note is the ability for the user to disable all these tools at start up. It is very easy for the user to disable and remove the included software if one wants a clean installation. There is nothing in the box apart from the battery and power supply. The user has to create system recovery DVDs. The included DVD only contains the drivers and the manual. The manufacturer clearly points to the recovery button with the F3 folding poster. Pressing F3 while booting the computer leads directly to the recovery settings. The warranty is for 24 months, but can be extended to 36 months for about EUR 140 (~$180). The keyboard has the same layout as the one found in the GT series but lacks a backlight. The unusual layout (see Windows key position) is for the convenience of gamers. The most common keys in use during gaming are WASD available above the left Windows key on most keyboards. Gamers in the in the heat of battle can accidently trigger the windows function which can frustrate a lot of people who are immersed in the game. 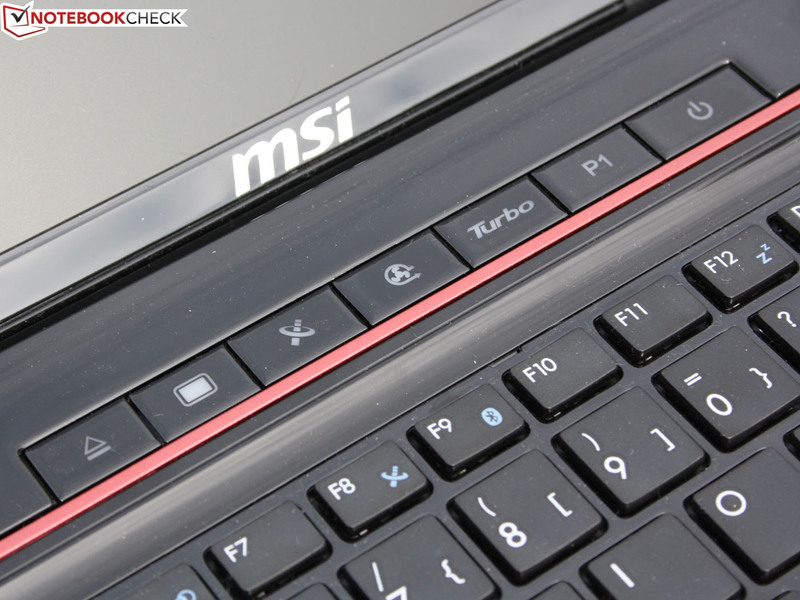 To prevent this, MSI relocated the windows key to the right side of the space bar. It is a small anomaly that few gamers would appreciate. The tight spacing (right shift key, enter, insert, right CRTL) and a few crowded keys (arrow keys) case are annoying despite this laptop having a 17.3” form factor. 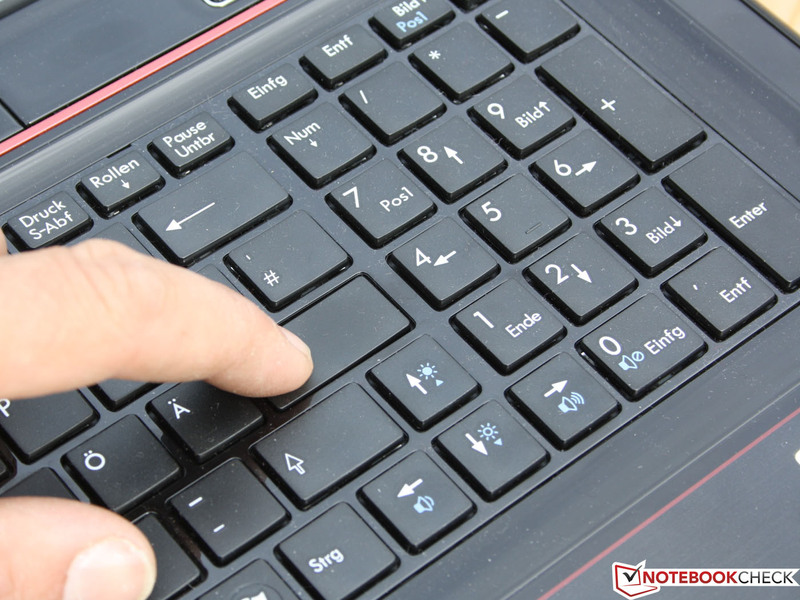 Moreover, typing on the keys is inaccurate due to inconsistent stroke. The keyboard plate yields on the right significantly. 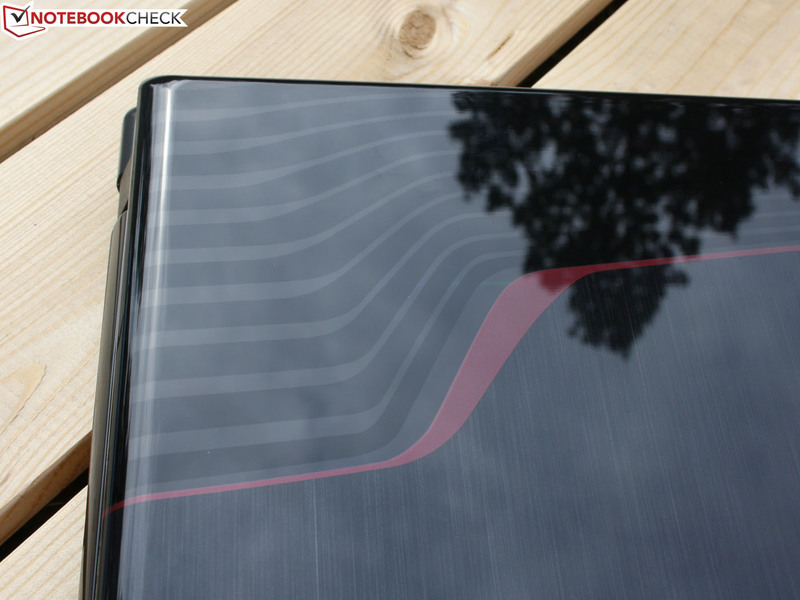 The pressure point is clear and the key drop is quite long for notebooks. The conic cavity on every key is pleasing since it facilitates localization. A small bar of illuminated hardware buttons is present above the keyboard. Two special keys are of particular interest. Other than the wifi on/off, screen off and program quick start (P1 customized), you do get two keys, one of which toggles the "Cooler Boost" which simply prompts the fan to run at full speed. Whether the enormous noise it generates is really beneficial for performance is explained in the "Performance" section of this article. 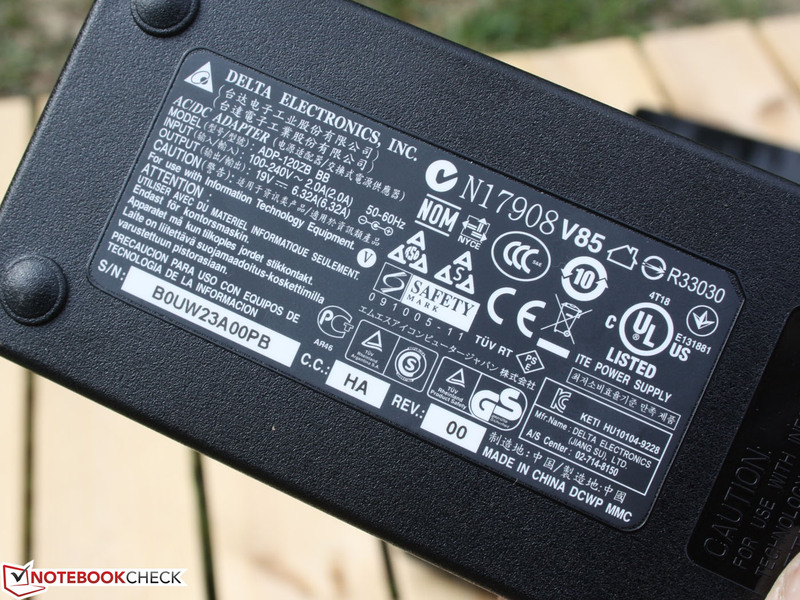 The turbo button "GPU Mode" is actually only a status LED. It lights up when Nvidia's graphics card is enabled, like in games or using supported software. This key allows minor GPU overclocking as in the GT model. The present GE can also overclock slightly to 835 MHz (GPU core). However, it cannot be toggled on or off using the "GPU Mode" button. 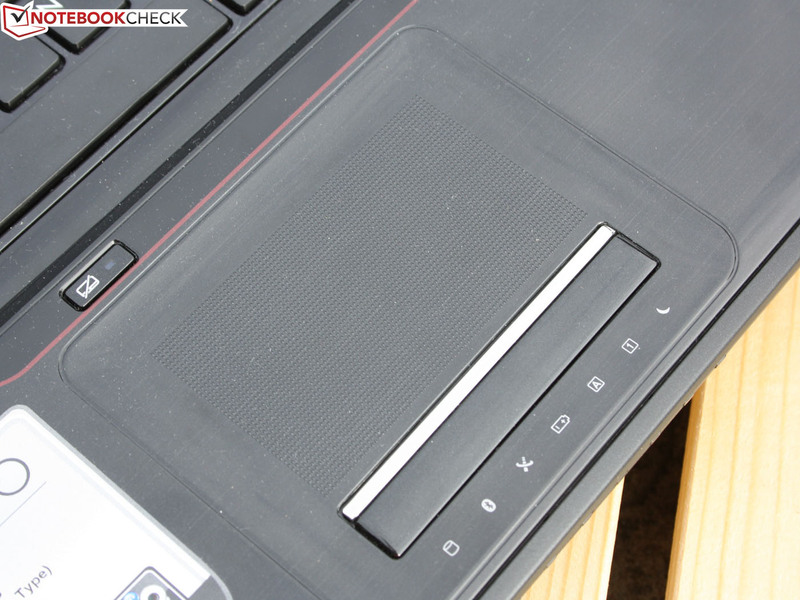 The touchpad has a finely dotted texture that prevents smudging. Its gliding traits are very good but the finger creates a scratching noise. The keys unfortunately have too short a drop and are hard to press. Clicking is fatiguing. The small chrome bar is not properly mounted on the key and loosens a bit. The Elan Smart Pad supports scroll, browse and zoom multi-touch functions. MSI installs an anti-glare 17.3 inch FHD screen. Thus the 1920 x 1080 pixels not only make the GE70 a gaming machine but a decent work device with a clearly arranged desktop. The contrast measurement is pleasing at 732:1 (MSI GT60- 359:1). The Chi Mei 173HGE (CMO) shows rich colors. 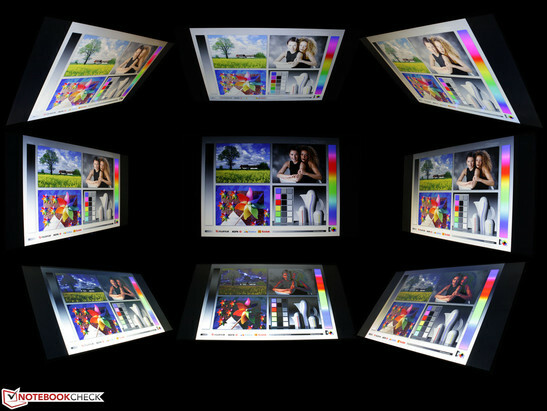 The color space coverage, important for professional DTP (desktop publishing, e.g. pre-press), is not as impressive. AdobeRGB is clearly missed and sRGB only comes close. It exhibits a surplus in warm colors and these can thus be rendered well. 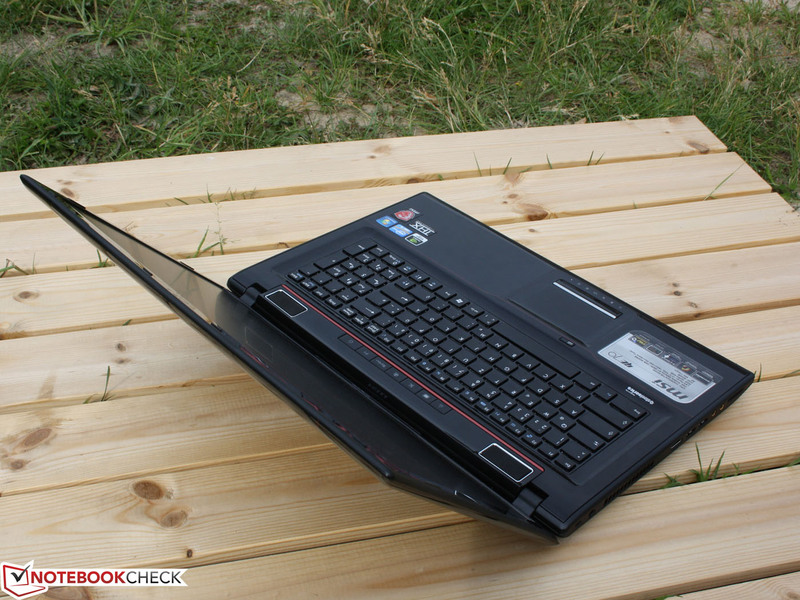 The Asus G55V shows that even "very good" gaming laptops have a hard time here. The color spectrums are almost identical (picture 3). The comparison with its bigger GT60 brother (LG screen; picture 4) is surprising. The color spectrum is clearly smaller than the present GE model (CMO screen). 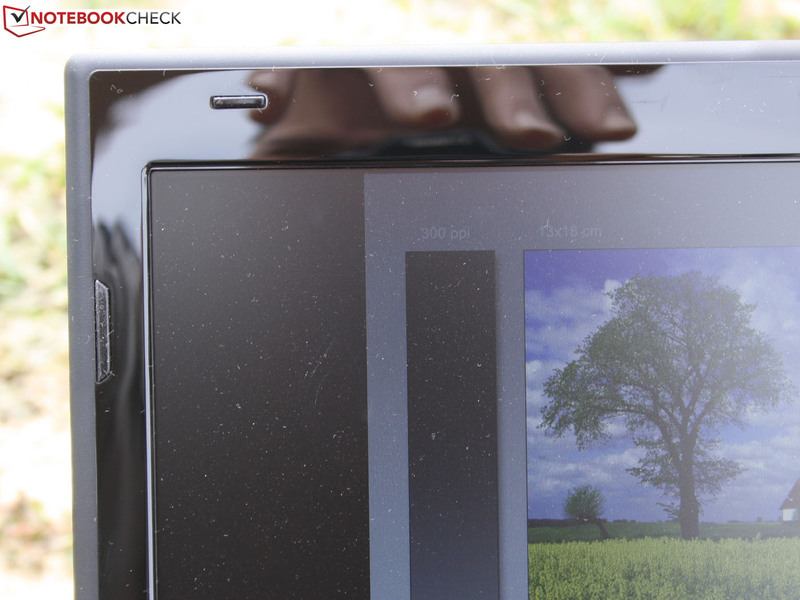 The matte TFT surface has good brightness of 251 cd/m2. This is also available on battery power. We noticed that the AR coating is very strong but the brightness could nevertheless be better in daylight. The desktop is still too dark depending on the viewing angle and sunlight incidence. The 17.3 incher has excellent horizontal viewing angles. 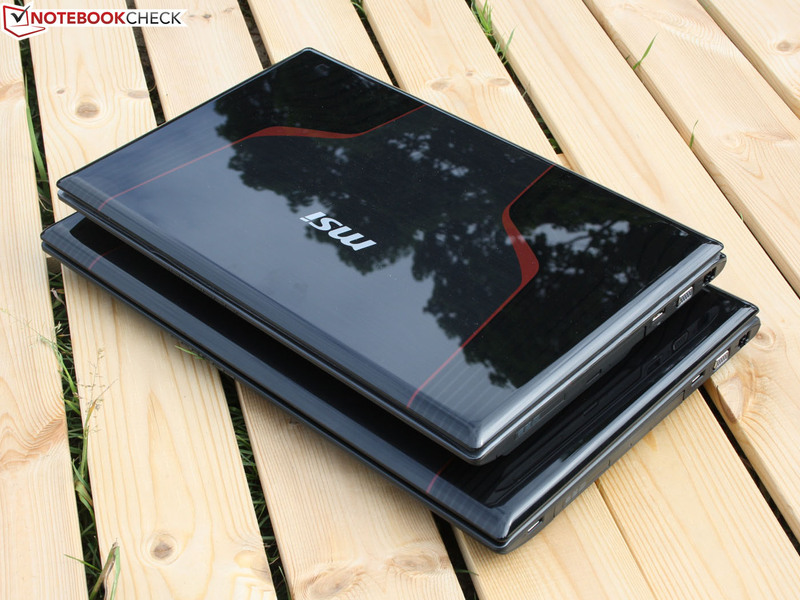 Only few notebooks featuring an IPS screen manage a viewing angle of almost 180 degrees. Could the CMO N173HGE-L11 be one? Well, the vertical viewing angles make that assumption disappear. Images viewed from below undergo inversions. Ghosting sneaks in from above, but the writing and structure remain clearly visible. We are testing the Core i5-3210M 2.5 GHz, which is from the new Ivy Bridge dual-core line. The differences to the Sandy Bridge generation are the use of 22nm manufacturing process (instead of 32nm) and Intel's new HD Graphics 4000 (featuring Turbo mode). Turbo Boost 2.0 is unchanged and can clock up to 3.1 GHz on one core. All details about the Core i5 can be found here. 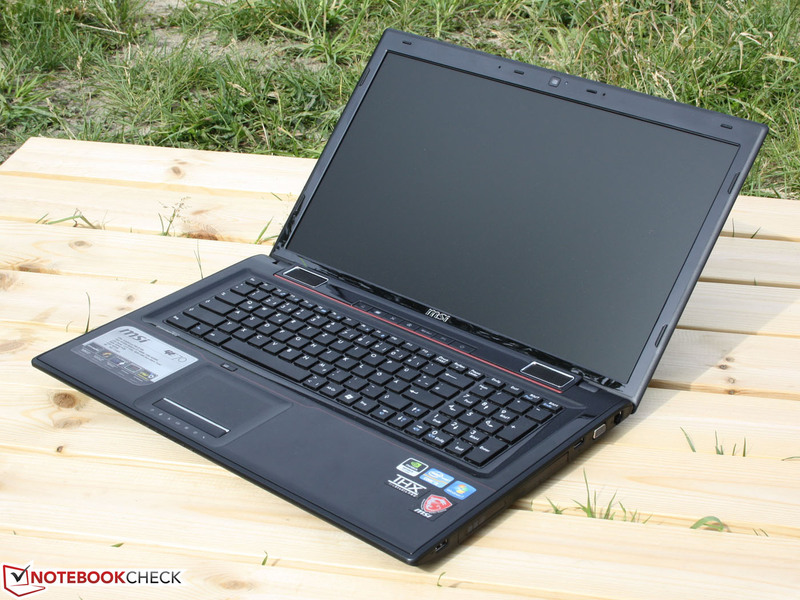 The GE70 would not be a gaming notebook without a dedicated graphics card. It comes with the Nvidia GeForce GT 650M. The performance places it as a midrange GPU. According to the name, the i5 3210M replaces the Sandy Bridge i5 2410M which scores 2.59 in Cinebench R11.5's multi CPU test (-12%). Our 3210M manages 2.86 points. The identically clocked i5 2450M achieves 2.75 points (-5%). The older 2450M is neck and neck with the 3210M in single core tests (SuperPi 32m @ 3.0 GHz). It is positive to note that there is no throttling in the battery mode. This applies to both CPU and GPU load. We tested Cinebench R11.5 with (2.84 points) and without Cooler Boost (2.84). The same result in SuperPi shows that the Turbo clock does not increase with Cooler Boost as we could not measure a performance increase. PCMark 7 measures the application performance by considering all the hardware. 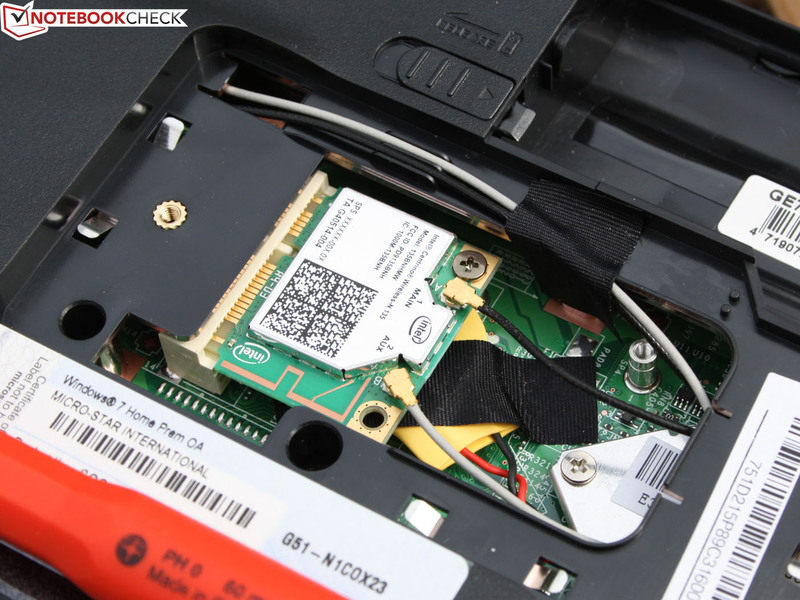 Like Windows' experience index, Futuremark's test shows the gulf between mechanical HDDs and SSDs. A score of 2023 in PCMarks look nice but is easily surpassed by every SSD based system. Even subnotebooks like the Asus U36SD-RX114V (2861) and the Dell XPS 13 (3823) that only have an integrated GPU put out better scores. 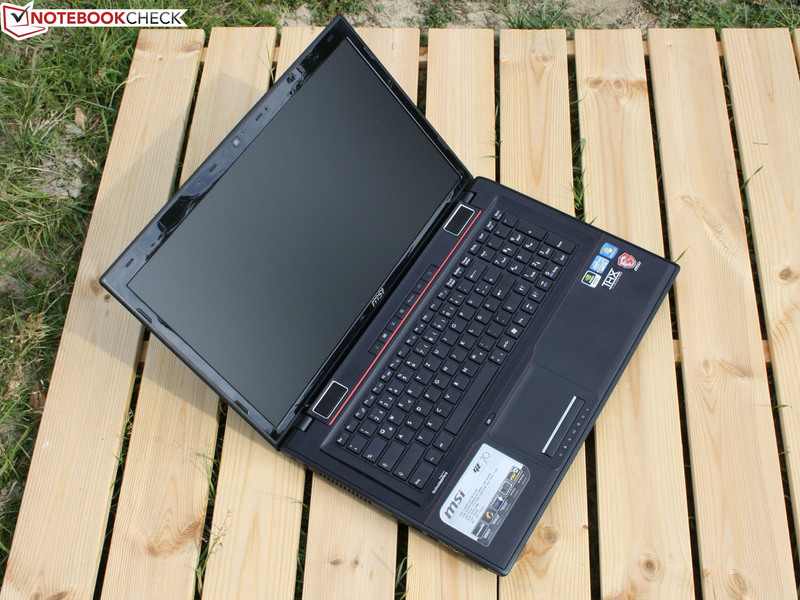 The older PCMark Vantage finishes with 7038 points which is in the vicinity of older quad-core devices like the MSI GE620-i748W7P (7094 points). 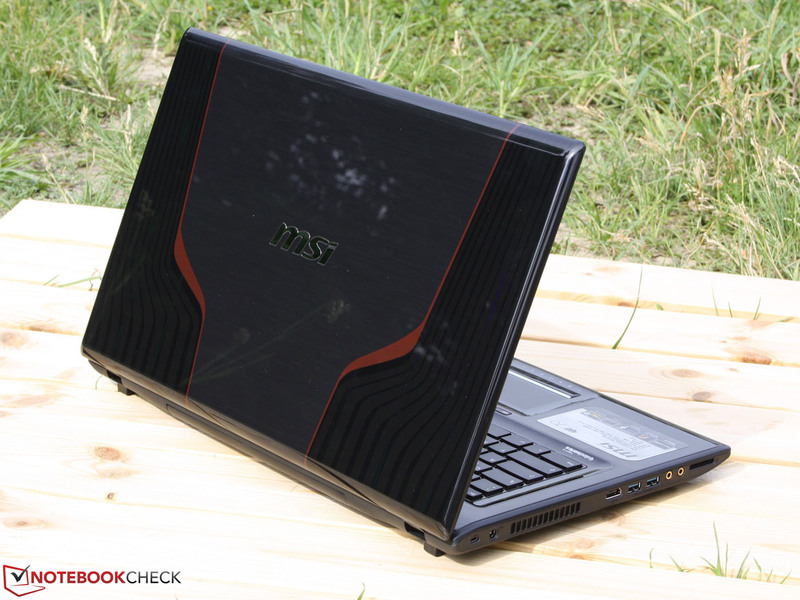 MSI's GT60-i789W7H manages 10103 points thanks to a 7200 rpm HDD and quad-core processor. MSI has included a 500GB Sorpio Blue (5400rpm) drive in the laptop that is a slouch compared to the Hitachi in the GT60. The Hitachi Travelstar (7200rpm) accomplishes a respectable 98MB/s. The WD Scorpio Blue drive was able to put up a score of only 63.5MB/s which is extremely slow. 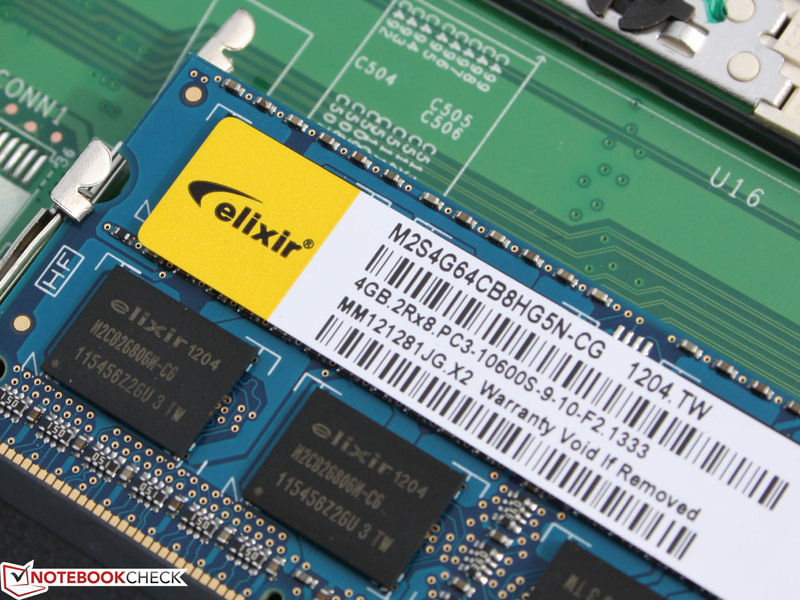 An SSD should benefit the GE70 when it comes to general user experience. The GeForce GT 650M uses Nvidia's Optimus technology which helps a lot in graphic intensive applications. Otherwise, Intel's HD Graphics 4000 on the processor is enabled by default. The HD 4000 is equivalent to an entry-level GPU (about the Radeon HD 6620G level), as proved in our extensive test: HD Graphics 4000 Benchmarked. The shaders are DirectX 11 capable. The GPU Mode button in the key bar indicates whether the GeForce GT 650M is enabled (illuminated) or not. Pressing the button during a game is useless as this doesn’t disable the dedicated GPU. The button does not prompt the GT 650M in office use, either. According to MSI, a real turbo was planned originally. However, it turned out that the GT 650M did not allow any other overclocking measures in the course of product development. Thus, the GE70 "only" supports Nvidia's Boost and the key only shows Optimus switching. 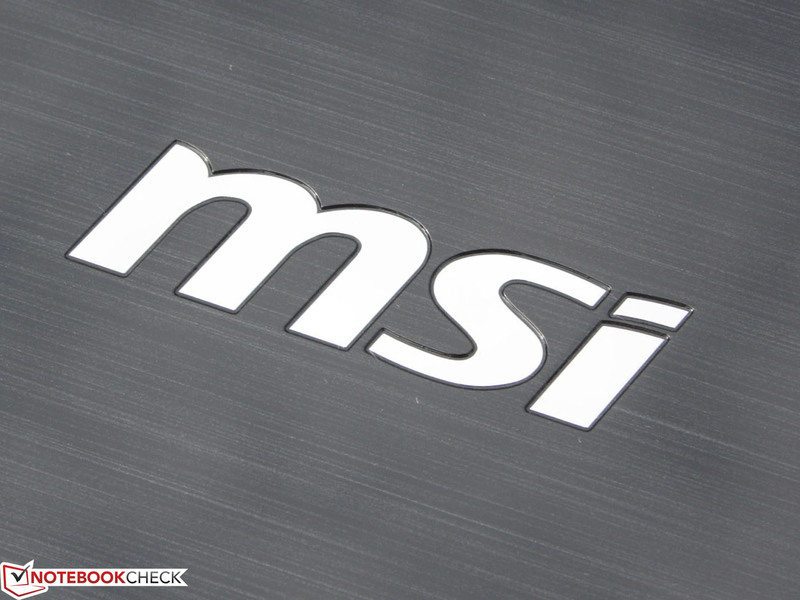 MSI is working on a solution which can be introduced as a BIOS or driver update. The GeForce GT 650M from the Kepler range is equipped with a core clock of 745 MHz. Boost can increase it up to 835 MHz (theoretically up to 850 MHz). 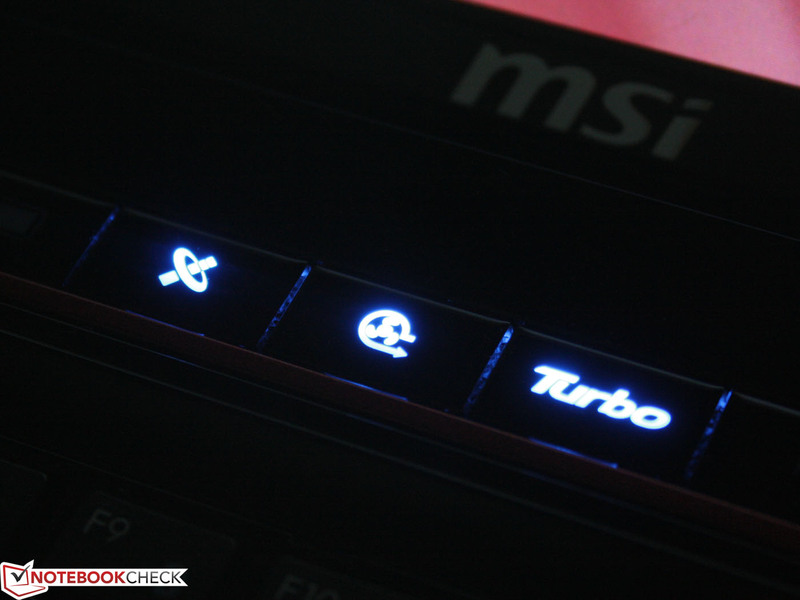 The boost is not an exclusive MSI feature, but is technically provided by Nvidia. The diagram depicts the GPU clock during the Cinebench R11.5 GPU test. The test games show mixed results in native Full HD. Although the GDDR5 video memory helps rendering the FHD resolution (2048 MB VRAM, 128 bit memory interface), smooth gameplay is not possible in demanding games such as Anno 2070 at maximum resolution. 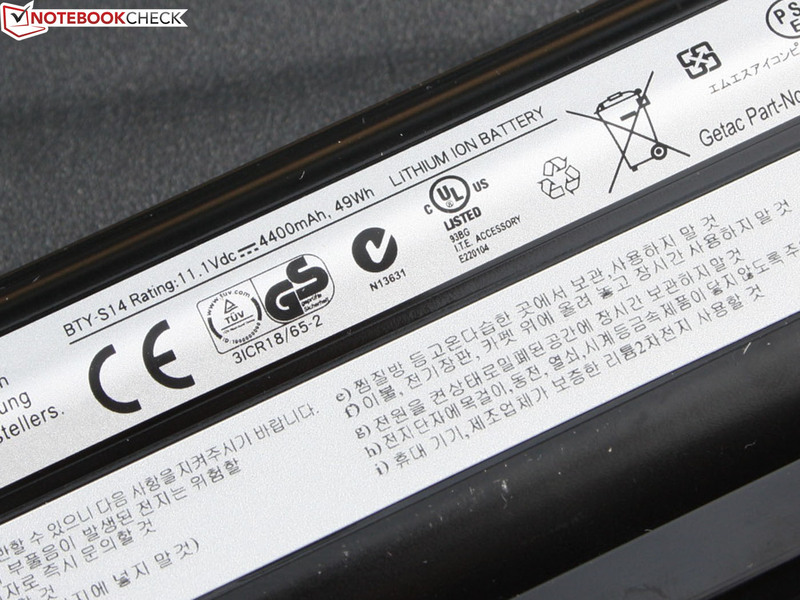 GE70 owners may expect decent gaming performance when running on the battery. The gaming test results are about the same as systems that have the GT650M. It is also remarkable to note that the GTX 560M is outperformed in certain games. Ultra settings in FHD are not an issue in COD:Modern Warfare 3. The GE70 easily manages 40 fps. One's M73-2O is roughly on a par (GTX 560M, 44 fps). Batman: Arkham City (ultra) pushes the GT 650M’s gaming ability providing relatively smooth frame-rates of about 24 fps. An XMG A502 featuring the same GPU manages the same (~26 fps). The frame-rate nosedives in Anno 2070 at ultra-settings and FHD resolution. 16 fps was also the result from the XMG A502 and One's M73-2O. Risen 2: Dark Waters was no fun in ultra (16 fps) and the settings had to be reduced to HD resolution (high). We got 33 fps which was slightly less than what the XMG A502and One's M73-2O could manage. For more gaming benchmarks, please refer to the GT 650M article. See our GPU spec sheet and the gaming list for more information. Since the majority of gaming scores are within a playable range, you may ask why a GeForce GTX 670M found in the higher priced GT60 is all that necessary. With 3114 in 3DMarks 11, the 670M has a higher synthetic performance than the GE model's GT 650M (1982 points). If you want to play (almost) everything at maximumsettings, you need a stronger GPU. Moreover, games are getting increasingly performance hungry. If you are planning to play upcoming games in high or at least medium details in a couple of years, then you are better off with a 670M. 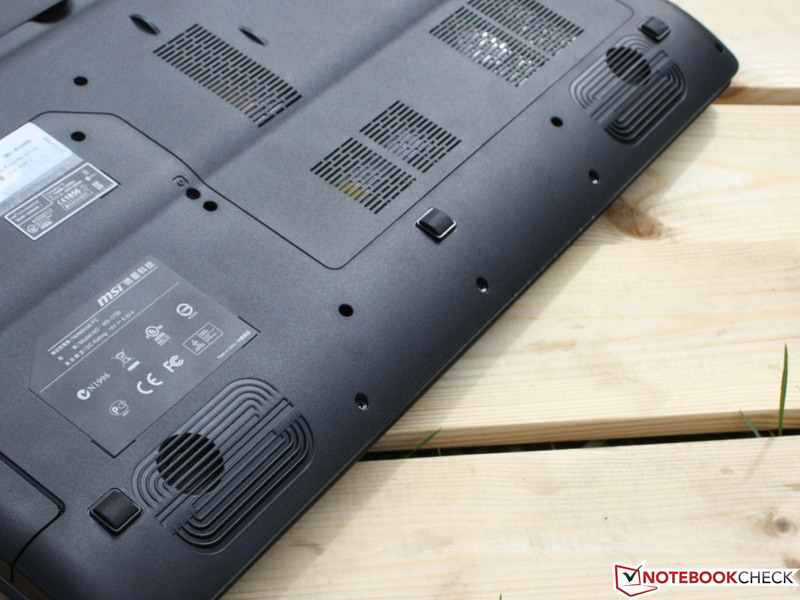 The GE70 is a good laptop in terms of noise generation for a gaming notebook. When the user does not use Cooler Boost, the 17 incher does not get louder than 38 dB (A) during games or on maximum CPU load. Even high load (stress test CPU + GPU) does not produce more than 44 dB (A). The Cooler Boost button did not have any impact on gaming or benchmark performance in our tests. However, if you fear losing a few frames per second due to thermal overheating on hot summer days, you should enable Cooler Boost. The fan spins at full speed constantly, even during load and on battery power. We are also satisfied with waste heat although certain surfaces slightly exceed 50ºC in cases of stress. But we only measure this in the vent area on both the top and bottom. The GE70 stays noticeably cooler when idling or under little load (office use), around 30ºC being the maximum. Performance-oriented gamers and users scrutinize the processor's actual performance since Intel introduced Turbo Boost 2.0. 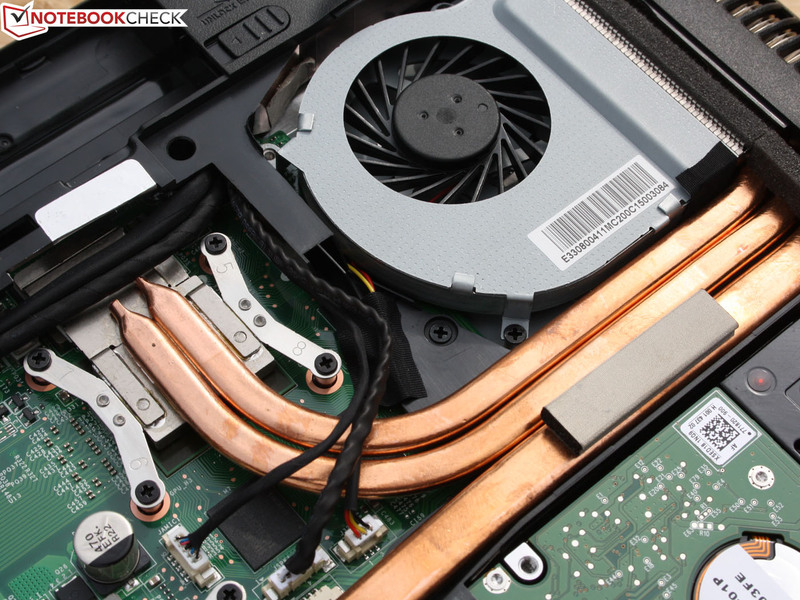 The CPU still only increases its clock when the cooling system dissipates the graphics and CPU's waste heat properly. 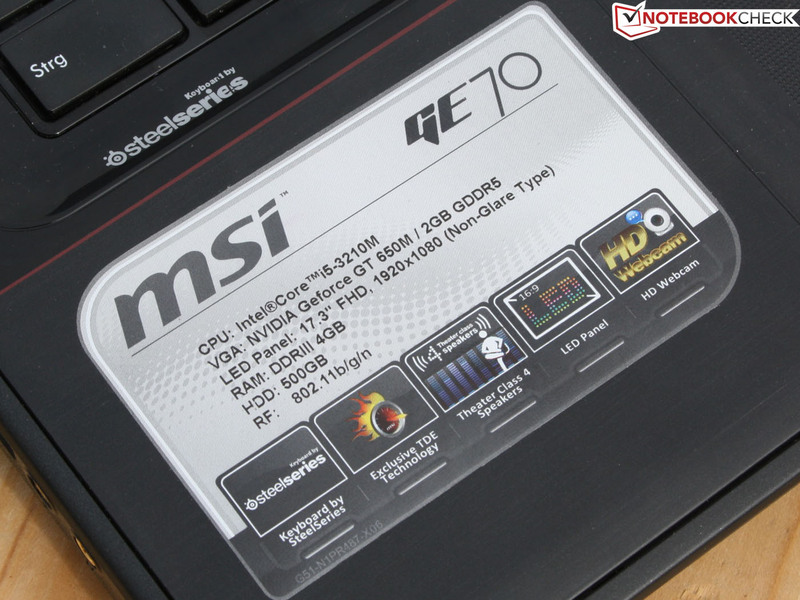 MSI's GT60 (quad-core) for example struggled with throttling. The processor clock dropped from 2.3 GHz (default) to 1.2 GHz. The good news is that there is no sign of throttling in our GE70 test device. The CPU clock remained stable at 2.9 GHz during the 2+ hour stress test despite multi-core load and maximum GPU stress. The benchmarks performed directly afterward achieved the same score in 3DMark 06 and marginally lower in Cinebench R11.5. After 2h stress test: @ 2.9 GHz - no throttling! (-) The maximum temperature on the upper side is 50.7 °C / 123 F, compared to the average of 36.5 °C / 98 F, ranging from 21.1 to 71 °C for the class Multimedia. MSI relies on four speakers supported by THX. 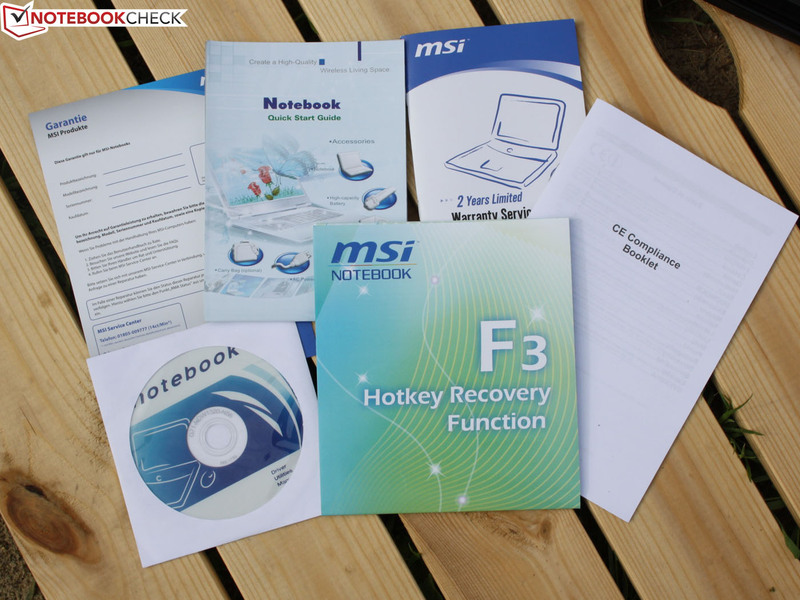 This bundle was used in a 15.6 inch FX600for the first time at the end of 2010. The trebles and midranges still sound balanced when playing music. The speakers supply a little bass, but it could be stronger. The volume is fairly high and can easily fill a 40 m2 room with sound. The playback clarity and differentiation pleases us. However, the sound doesn't appear as strong as in devices featuring subwoofer support due to the lack of stronger bass. This is true in the case of the Asus G55VW and the MSI's GT60. THX is not proprietary hardware like Dolby Surround or DTS. It is a standards system based on results. It does not matter which hardware is used to determine the standard. According to THX's homepage, TruStudioPro means there is a virtual surround channel. Low frequencies are enriched with bass, speech clearly stands out from the music, sudden volume changes are intercepted and the frequency range of compressed music is widened. 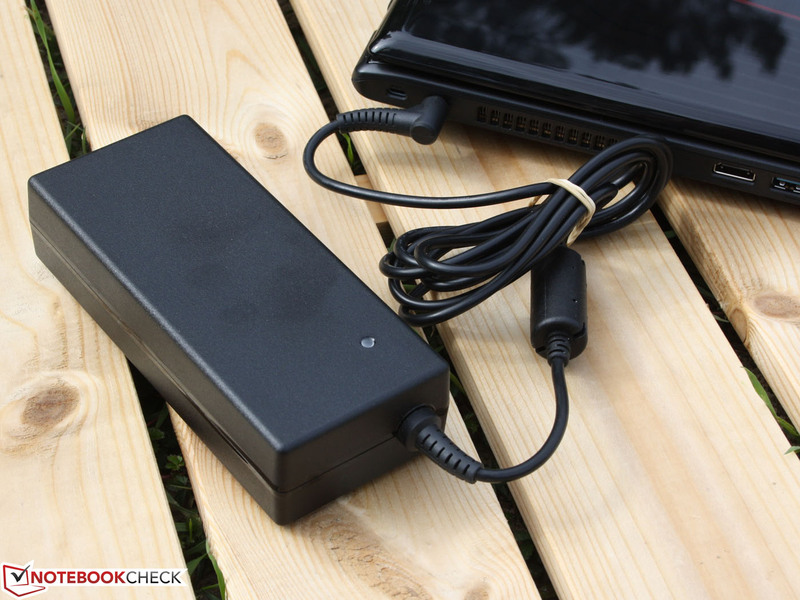 The 17 incher is equipped with a heavy 120 watt power supply and should prevent bottlenecks. We could only generate a power consumption of 85 watts in the stress test. The Intel processor's intelligent Turbo Boost and Nvidia's Optimus for disabling the graphics card reduces the idle power consumption and makes for longer battery life. Depending on the profile, brightness and enabled functions, the GE70 drains 12 to 21W from the outlet when idling. This is not remarkable since Medion's 17 inch Erazer X6815 (2630QM, GeForce GT 555M) featuring a quad-core CPU managed this too. not quite three hours of runtime. The runtime of 209 minutes (~3.5 hours) in idle (BatteryEater Reader's test) is quite poor. But that was to be expected from a 49Wh battery and the power consumption of the hardware. Gaming on battery power reduces the battery life to a maximum of 73 minutes (~1.25 hours). This was determined using BatteryEater Classic. The surfing via wifi test comes quite close to the real runtime. The battery drained out after 161 minutes (~1.75 hours) where we visited YouTube, downloaded files and swept across Wiki pages. The LED screen was set to the second highest brightness level which is 150 cd/m2. The notebook needs 2 hours 35 minutes for recharging. 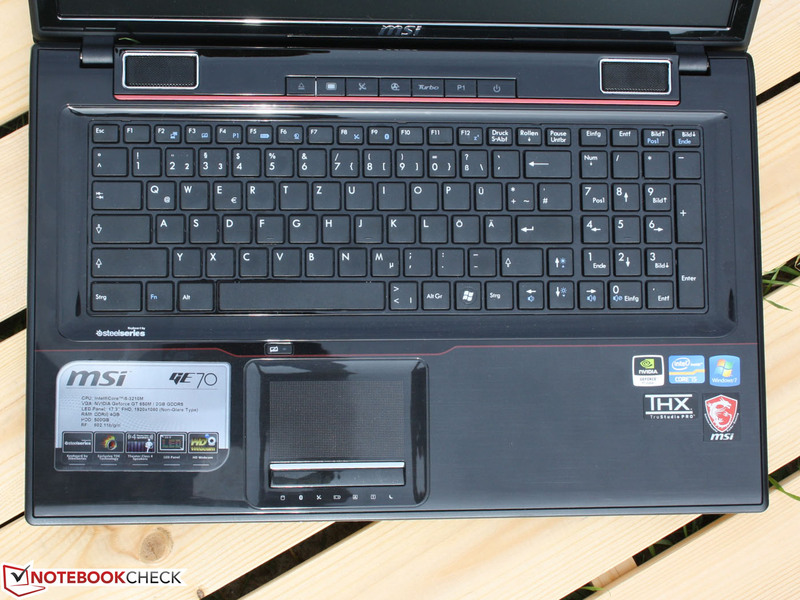 MSI does a lot of things right in its GE70-i547W7H, but it also blunders a bit. 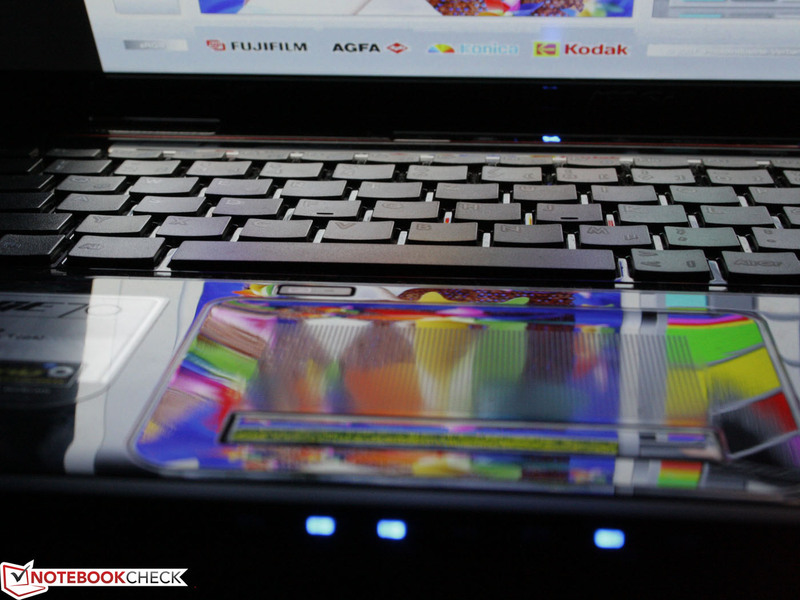 The contrast and viewing angle stability of the Full HD screen is a distinct positive for this laptop. It has an even anti-glare coating that is a bit better than the more expensive GT60's. The performance does not offer any extras. An SSD would have done wonders to the overall performance but the default drive is a slow 5400 rpm HDD. 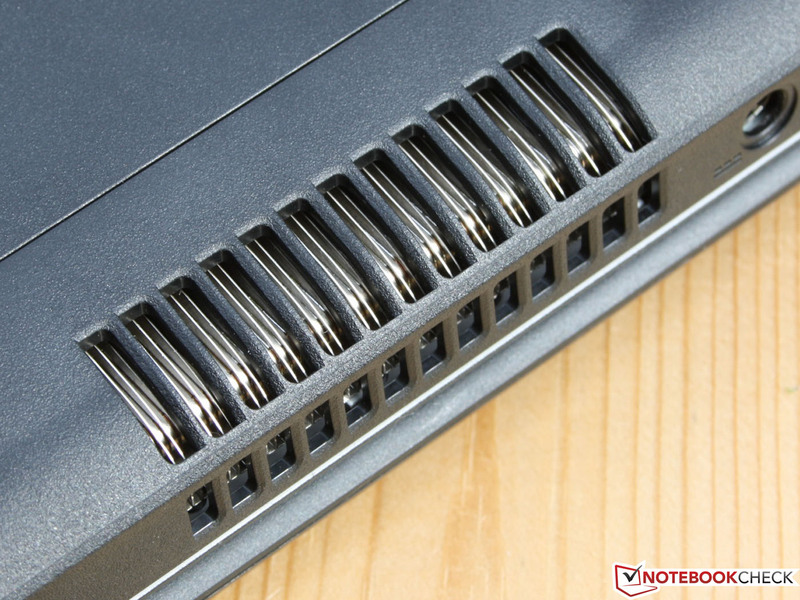 The cooling system works consistently without throttling and results in high CPU and GPU performance. The turbo buttons are a gimmick until an update is available that makes it more useful. But the Cooler Boost did not have an impact on performance in our tests. Gamers will be satisfied with the GeForce GT 650M because it runs the latest games in high details and Full HD. Moreover, four THX certified speakers are available. Except for the bass that could be a bit more dominant, we hear a balanced sound. MSI blunders with the keyboard. It might feature a useful layout and accurate keys for gamers (conic cavity), but that does not justify the wobbly stroke caused by an unstable plate. The adjective “wobbly” can also be used for the case. The plastic construction is pliable in some areas and sensitive to scratches and fingerprints due to the high-gloss finish. 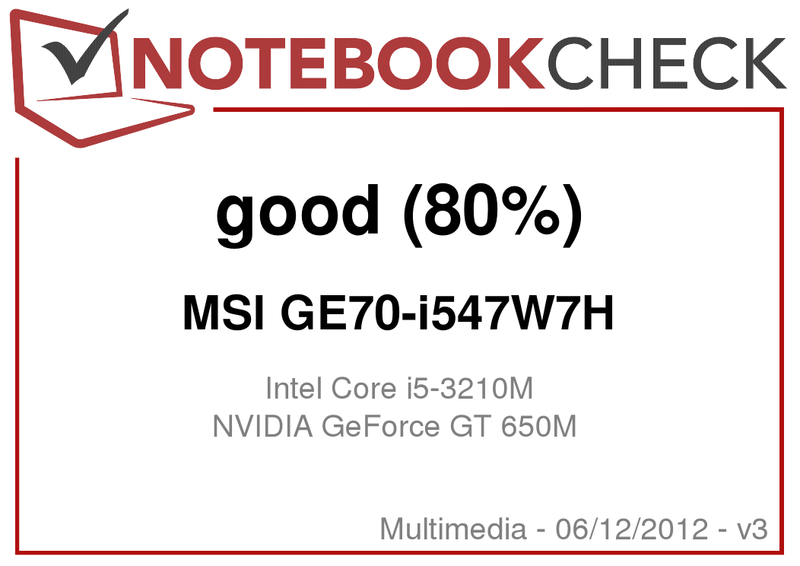 The MSI GE70 is the manufacturer's "cheap" gamer (just under EUR 900). A big maintenance cover on the bottom enables accessing the innards. 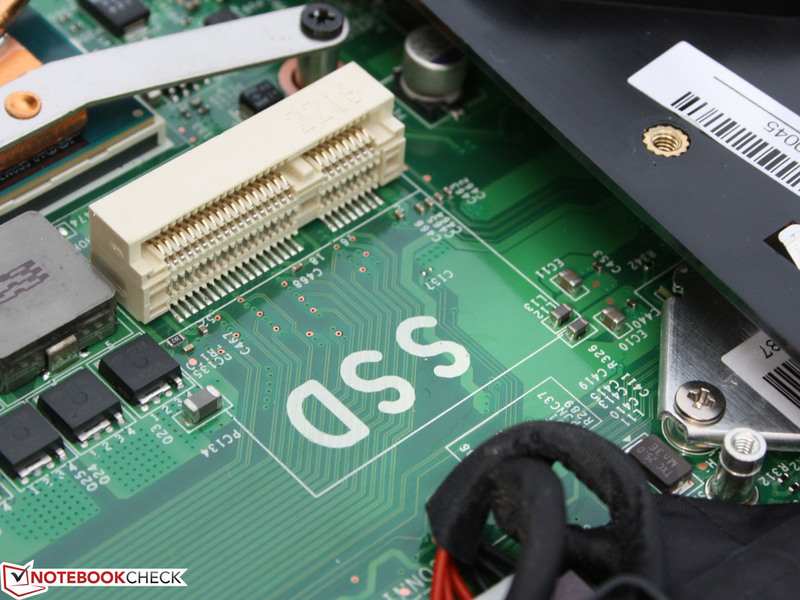 Surprise: Can an mSATA SSD (e.g. Intel 313 Series) be retrofitted? As usual, the wifi module (incl. Bluetooth) is inserted. The processor is inserted and can be replaced (slot: FCPGA988). The four GB RAM are inserted as one module (1x 4096 MB), a second slot is empty. The RAM comes from Elixir. The fan does a good job. There is no throttling even during maximum load. The power supply is well-sized in any case. but has a capacity of 120 watts. 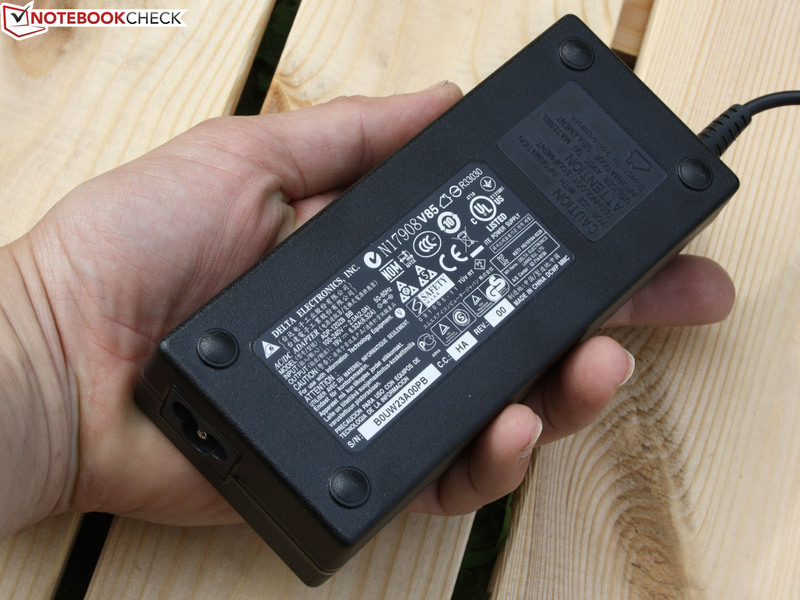 That is more than sufficient for the determined maximum power consumption of 85 watts. 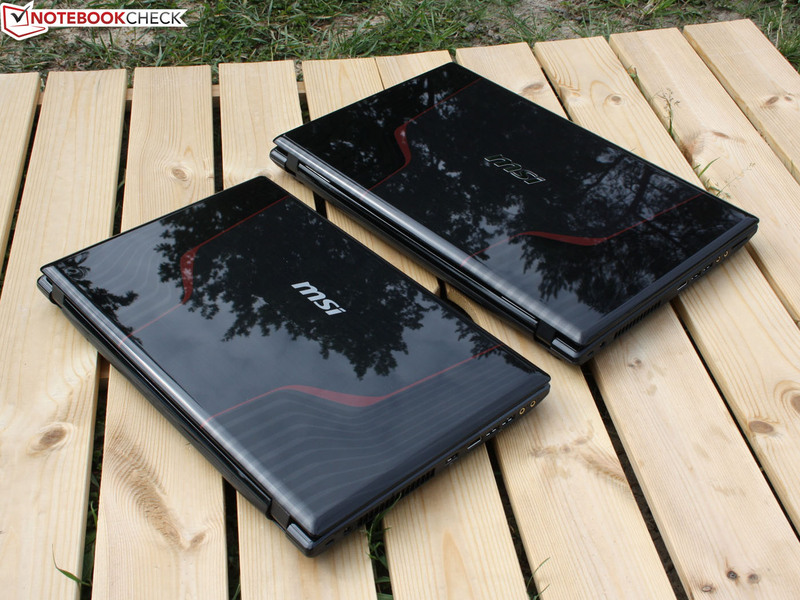 The 15.6 inch sister model, GE60 with the same GPU but a quad-core CPU, is also being tested. The stroke is spongy because the keyboard yields. 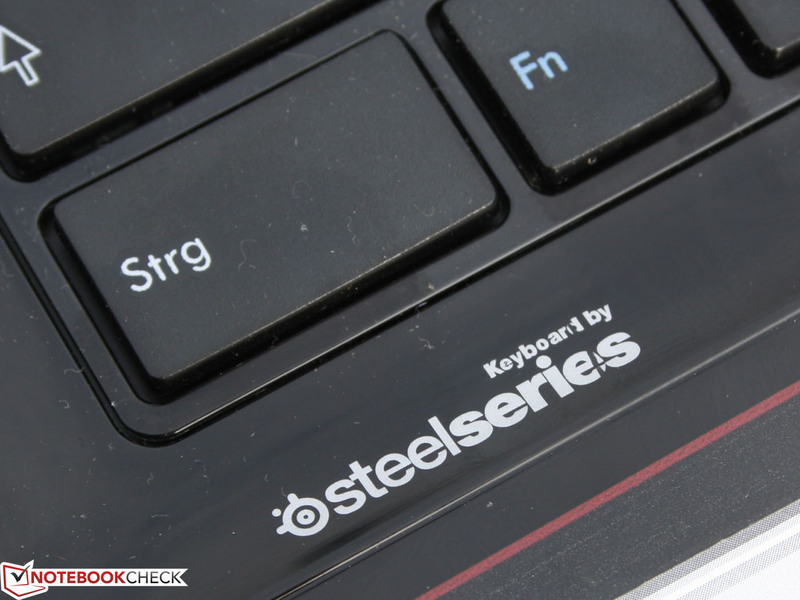 The keyboard allegedly comes from SteelSeries. The name is not a vouch for quality. weaker components and a lower priced case. The latter is clad in high-gloss and susceptible for fingerprints. but has another finish (top, looks). The stability is not the best. The lid and chassis are easily warped. The high-gloss finish does not stop even before the wrist rest. The interface configuration is not generous. At least the webcam clearly indicates activity. Interesting although useless actually: The fan and GPU Turbo buttons. The mouse pad can be disabled here. Perfect for gamers. Stable: Thanks to good cooling, the performance remains stable in Turbo Boost even in during stress. We can live with the case's mediocre stability, but the clattery keyboard is definitely a no-go. 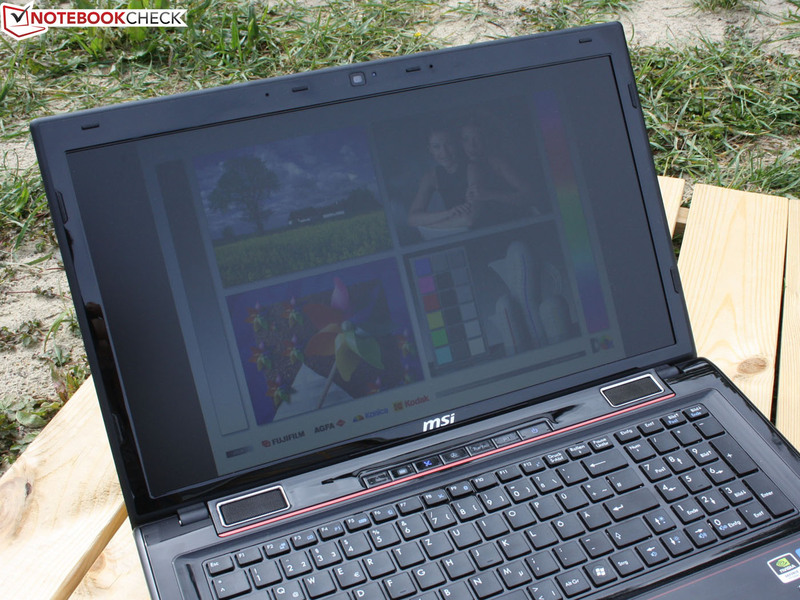 A higher TFT contrast and wider color space than the upper range MSI GT60.